…There is a suggested donation of $10 a class. Suggested donation means that if you can put $10 in the box, please do. If you are not in a position to do so, contribute what you can. Nobody will be keeping track of individual donations. Better yet, the yoga at Yoga to the People is a Power Vinyasa Flow inspired by Bryan Kest and taught by certified, experienced teachers for every level. Classes are generally 1 hour. As mentioned above it’s a suggested $10 donation but mats rental and water are non negotiable, $2 and $1 respectively. Located at 12 St. Marks Place (at 3rd Ave. ) 2nd Floor. Jaime Epstein, this week’s writer of the On Language column for the New York Times (who also happens to be a certified instructor at Jivamukti in Manhattan), wrote a very fun and funny article on the language of yoga-Namaste– published in the New York Times Magazine this weekend. Very much worth a quick read! New members can get a one-month unlimited pass for just $60! A whole month for the price of 3 classes. I wouldn’t pass this up. Their regular monthly unlimited is $200/month but also includes free washing of your yogitoes, 1 free towel per class, free mat storage, 10% off retail the day of purchase and 10% off all workshops during the months of your pass. Downside…only 3 classes a day – no AM classes. Located at 320 West 37th Street, Suite 10D (Between 8th & 9th Ave). Closest subway seems to be 34th Street ACE. Jen Murphey of the Wall Street Journal Online writes a regular column called What’s Your Workout? Today’s article features a New York City Exec’s love affair with Baptiste Yoga and Big Apple Power Yoga Studio in Midtown. Check it out, Staying Sane and in Shape Thanks to a Strict Yoga Regime. You can also join Murphey’s WSJ Forum Finding the Right Exercise and discuss your own workout. 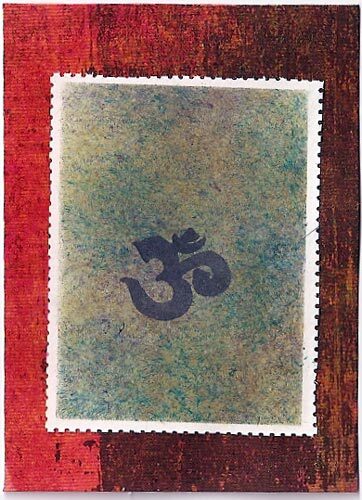 Om is more than a word – it is an intonation, like music or vibration. It is made up of three Sanskrit letters, essentially “A” – “U” – “M”. It is often said that the sound of Om contains in it all other sounds. In the Upanishads Om is considered to be an all-encompassing mystical entity- the voice of God, or as I like to think of it, the sound of the universe. As sacred texts declare, the vibration of Om is supposed to penetrate one’s soul, transcend the past, present and future, and reveal the truth. 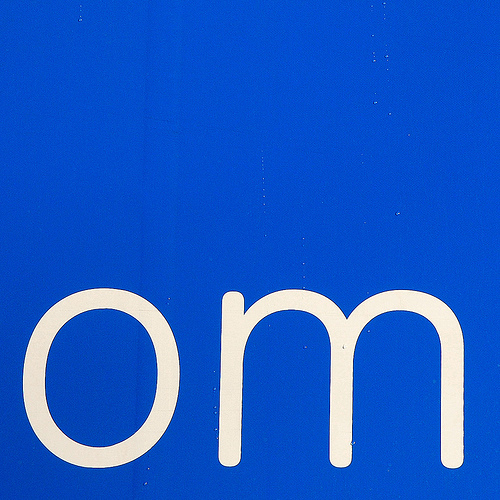 So the question remains: om or no om? Having been a past practitioner at Jivamukti where they chant, A LOT, in their classes I have built up a tolerance to chanting in general. I enjoy it- but on occasion and in the right place at the right time. In fact, I have to admit I’m not one who enjoys chanting when I show up to a yoga class expecting to jump right into the physical aspect. I do however, ALWAYS enjoy chanting om at the beginning and end of the class. My favorite is actually chanting om in rounds. Not exactly, Row Row Your Boat style but more or less just following the rise and fall of your own breath rather than the instructor/leader of the chant. I like to imagine that there must be times when all the yogis around Manhattan (i.e. Union Square) are chanting om at once given that there are so many studios with similar class schedules. You would think there must be a few hundred people chanting om come 7:30 on the weekdays across Manhattan. Pretty cool, huh? What I find odd, and actually awkward is some classes choose to chant om at the start of class and not at the end (Dana Strong does this at YogaWorks). There’s something about closing with om that makes you feel full or satisfied. Maybe it’s just me. But as my teaching philosophy has developed I believe whole heartedly in om, and less so in chanting before class. Truth is, I’m there to practice like everyone else and chanting (while nice) is sometimes hard to fit into the hour and a half you’re on the mat. Oh and what’s up with instructors who pick obscure chants that no one can repeat – that’s just uncomfortable for everyone! Printing House Fitness Club on Hudson in the West Village- starting in June, they offer rooftop yoga, rooftop abs, and rooftop aqua-circuit. Every Wednesday evening on the Riverside Plaza at 66th & Hudson River, free outdoor yoga classes at 6:30 p.m. from June 11 to Sept. 24. Call (212) 408-0219. Bring your own mat! Bryant Park has free yoga on the Upper Terrace- instructors provided by Lululemon Athletica– all level of yogis.